I think we often study wars by looking at mobilization—the process through which a country enters a war and how the whole society organizes itself around that fight. But we rarely look at demobilization, that is, how a country stops fighting. Here I’m talking not so much about the diplomacy of peace but the everyday social history of peace. What did it mean for people who had been asked to be part of the production of violence to stop doing that—to tear down the war, so to speak? Our country’s victory in World War II has generated some popular amnesia about the turbulent and contentious times that followed. In the same way that we scrutinize the treaties that define a war’s diplomatic end, we should examine the settlement terms of the home front war—the decisions that reconfigured daily life for survivors. When a war ends, who gets to write the treaties that define the home front peace? 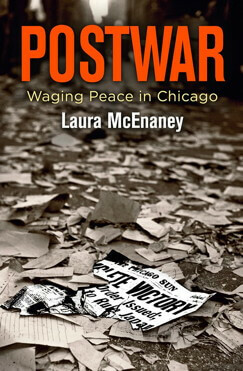 My way of grappling with this big question was to go small: to think about peace as an urban social history in which we could find working-class people living war’s end in very personal and political terms. I also think it’s important to pause and reflect on what we build after we destroy. Everyone has a stake in the postwar because it’s when people take stock of what the war took from them and what they want in return. It’s when people start to think about renewal or gain from war’s violence. And it’s when a nation starts to write the first stories about the war’s lessons. In the transition to peace, a war’s original purposes can be rearticulated or reimagined for many motives, from winning an election to grieving a personal loss. We cannot forget that there was an incredible idealism after World War II. People believed creation could come from destruction. So, I think we need to dissect our postwars as carefully as we do our wars, because we can learn what people imagined war could deliver, even if much of that did not come to be. War is sacrifice, violence, and loss, but it is also an experience of governance that can fine-tune, reconfigure, or reaffirm Americans’ worldviews about the state’s operation in their daily lives. Thinking about peace as a historical process helped me rethink working-class views of the state—well away from the workplace. Although I look at returning veterans, I try to foreground other groups as well. I study working-class renters (versus homeowners), newly-freed Japanese Americans (thousands of whom moved to Chicago after internment because it was a “safer” place than the west), single “working girls,” housewives, and African Americans who migrated north for war work and encountered Japanese Americans in racially segregated neighborhoods. Each of these groups had a different relationship and history with the state. For example, Japanese Americans had deeply ambivalent feelings about a government that had just imprisoned them, but we have evidence that, as renters, they leaned on federal officials to fight for their rights as tenants. Similarly, African Americans were wary statists because of their own encounters with states’ rights and a very unequal New Deal. 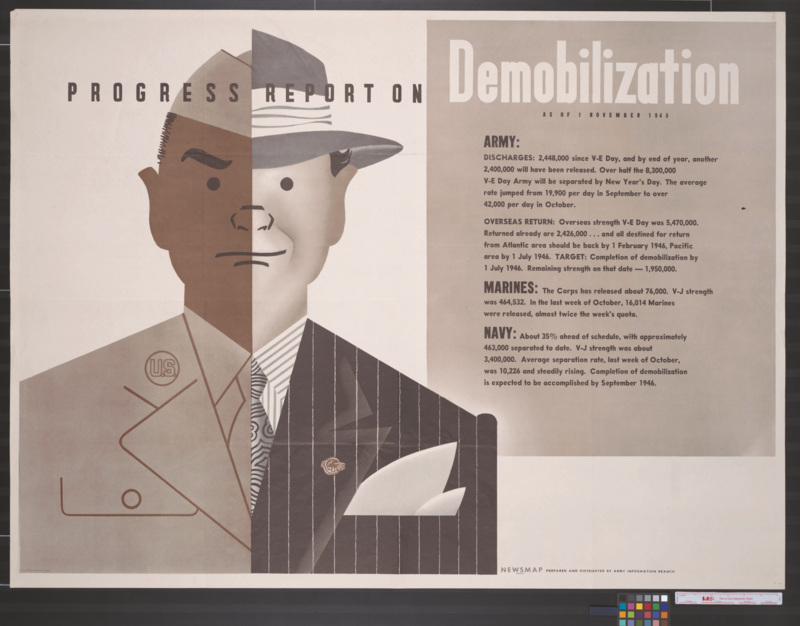 From World War II through demobilization, they had experienced a variety of states—repressive, regressive, and protective. And working-class women often had to nudge their way into the state’s postwar reward system through marriage to a veteran, while single women could enjoy no such claim on those generous benefits. In the postwar era, it was socialism for the enlisted, capitalism for the rest. Despite this diversity, I did find evidence that postwar working-class people held fast to a few common convictions: they liked the idea of unfettered abundance but they feared unregulated markets; weary of wartime regulations, they were also wary of none. They wanted enough governance to protect what they had gained, to regain what they had lost, or to move up a rung. They wanted it to be good governance, too: on time, face-to-face, fair minded, as intrusive as it needed to be, but not more. They wanted it to referee, not dictate, their class interests. But we cannot forget that this was, fundamentally, a war liberalism, a darker echo of New Deal liberalism, because war’s ruthless and relentless violence underlay peoples’ suffering and needs. It was a hybrid liberalism that reflected the paradoxes of the upheavals of war. I found it hard to pin down precisely what war liberalism meant because human beings used it. They stretched, bent, and invented different versions of it. As with any other ideology, a plural is always implied. Another complexity I grappled with was how many “states” there were in the postwar city. The state was wherever a service could be found, wherever it was accessible and seemed safely approachable. Chicagoans looked for the state in the neighborhood: the Travelers Aid Society, the local Office of Price Administration, the YWCA, the local outpost of the Veterans Administration, and the settlement house. In fact, sometimes their neighborhood state played the role of intermediary, helping working-class people hold their national state accountable to get what was promised. I am not always sure when we historicize “the state” for working-class people that we understand precisely how they understood it, where they thought it lived, what they thought it could help them with, and how they actually used it. An important takeaway from this study of postwar is that working families’ relationship with government—with governance—has been cozier than we have thought, a claim conservatives have been refuting since Reagan’s presidency. In fact, anti-New Deal conservatives saw in peacetime a chance to reverse course—to use a big war to make a small state. Later, Ronald Reagan’s own brand of World War II nostalgia circulated widely, and I think it still has a grip on the part of our politics that uses memory to make policy. We cannot narrate the transition to peace as a straight line to privatization, consumption, domestic cocooning, and Cold War antipathy to the state’s nonmilitary functions. The stories from Chicago’s working-class neighborhoods suggest a slower, more crooked path. Is “postwar” a category that might aid our analysis in other historical periods? That is, does your analysis of the period immediately following World War II prime us to ask different questions about the 1870s, 1920s, 1970s, or even today (if we are ever “postwar” in Iraq and Afghanistan)? War is part of almost every modern U.S. history course I teach, and one of the reasons I came to this topic is because I found it frustrating—and fascinating—to puzzle over how to teach the impacts and legacies of so many wars. We rarely press the pause button (in our textbooks or lesson plans) to really engage the aftermath of a conflict, but I think we have to start thinking about the postwar as a distinct phase of the war itself. Peace is a historical process in its own right. I still flirt with the idea of creating a “comparative postwars” course, in which the war is only the prelude, not the main event. 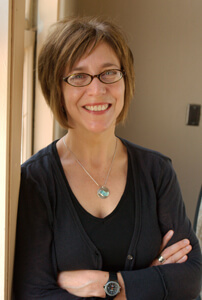 Mary Dudziak wrote a terrific book that asks what “war time” even means. Can we say when a war is over? Our country’s still deep entanglement with the Civil War and Vietnam, for example, suggests that we are still grappling with the ideological hangovers of those conflicts. Millions of Americans make pilgrimages to battlefields and memorials to remember and reflect, and this, too, is a phase of war, because it continues the conversation and memory making. And we should scrutinize a war’s beginnings, too. I ask my students when World War II began, and it always generates a good conversation about how hard it is to pin down beginnings and endings in American history. As a memory project, I think World War II still has too many silences and omissions. Historians have done good work to correct this, but the popular narrative seems so sealed up. Since the publication of Tom Brokaw’s The Greatest Generation and the dedication of the World War II Memorial in Washington, DC, it has become even more difficult to talk frankly about the history of the Second World War. In my view, the memorial’s entire design forecloses the possibility that skeptical questions about war can coexist with gratitude for the people who fought it. And I think it remains difficult for Americans to get around a collective sense of reverence for war and warriors. We still don’t know how to proceed after we say “thank you for your service.” My hope is that recognizing the postwar as a distinct part of war making can help us ask better questions about the nature and consequences of violent conflict—and then help us listen deeply. Now that you’re done with your book, what are some books you’re looking forward to catching up on? To be honest, I’m doing more watching than reading right now! I’m consuming the daily news, of course, but I find that I need some relief from that. In general, I am always attracted to history books that have good storytelling, which is something I struggled with. It is really hard to tell engaging and complete stories in the world of academic writing when we are left with fragments of evidence. Some years ago, as I fantasized about finishing my book and being able to read what others had written, I started to keep a list of books that had won awards. This seemed like an easy way to let my colleagues curate a good reading list for me. But I’m now not sure I can find that list as I climb out from under my own project, so send me your recommendations!